Welcome to the Software section of our website, dedicated to adaptive computer software for those with low vision, the blind and the Deaf. Check in Low Vision Software for screen magnification software that works on Macintosh and/or PC computers and has an enlargement capability of up to 16x. 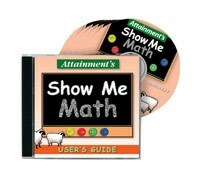 Please read product descriptions for more information. Blind users and those with severe low vision will appreciate the software tutorials we offer with speech, such as: Math Tutorials, Typing Tutorials, Computer/Internet Tutorials, Microsoft Word, Corel Wordperfect, Microsoft Excel, JAWS and applications JAWS works with, such as Microsoft Word, Internet Explorer, Outlook 2000. 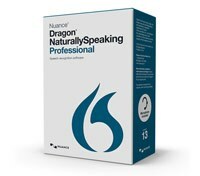 We also carry speech software, which reads your monitor's display and carry a wide variety of software to suit any computer setup. Also look for products that can control your computer by speech; an excellent product for anyone with limited mobility, but who has vocal ability. 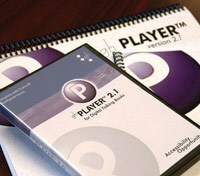 We also have a variety of Braille software and software for the Deaf. Whatever your special needs are, we have the software that will customize your computer for maximum usability. 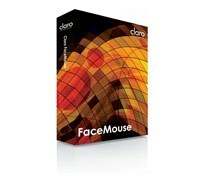 With such a large variety of software to choose from, you are sure to find what you need. 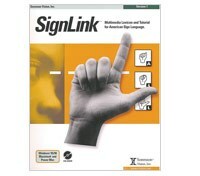 Accessibyte, Attainment's, ASL, Claro, Click to Read, Clouds, Con-SIGN-Tration, Dragon, eClipse, EyeSnap, GoTalk, HyperSign, iCommunicator, iZoom, Kurzweil, MAGicPRO, NimPro, NeoSpeech, Outspoken, TADI, P-Touch, Quick Cards, SignLink, Simtech, The Early Learning Suite, Typio, WordWav, Marblesoft, MegaDots, MatchTime, Notebook, Braille translators, computer skill building, children's software, hands-free mousing systems, accessories and more!